If you have questions about the IST eMagazine or PDF Archive, we have put together answers here to some of the questions that are most frequently asked. I already subscribe to IST. How do I access the eMagazine? 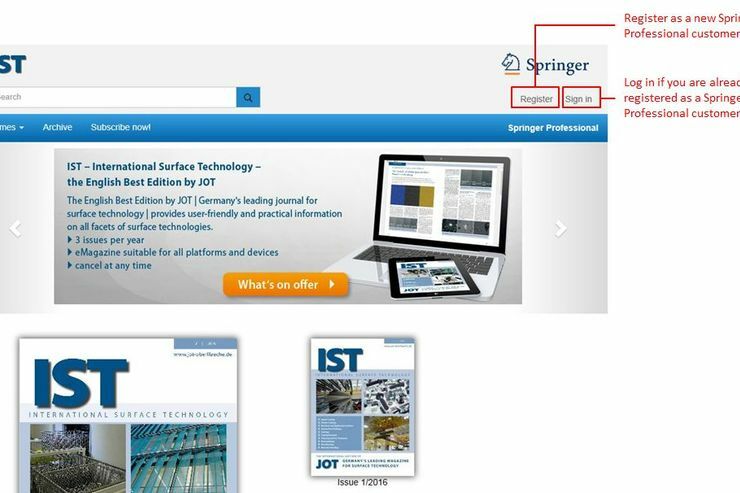 As an IST-subscriber, you access your eMagazine via Springer Professional: http://emag.springerprofessional.de/international-surface-technology. I have already registered to the IST-PDF-archive. How can I register to the eMagazine? 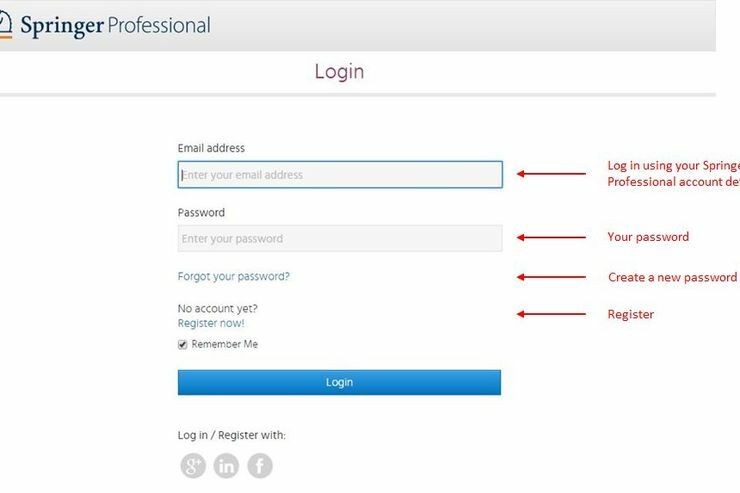 If you have already registered with Springer Professional, for example to access the IST PDF archive, you can log in on the login page using your Springer Professional account details to . How can I register if I don’t yet have access? If you don’t yet have access, you can register here. Enter your customer details and your e-mail address on this page. The customer details must be the same as those for your IST magazine subscription in order for the activation process to work. You will then receive an e-mail with a confirmation link which you should click on within 24 hours. This completes your registration and gives you access to the IST eMagazine and to the archive. How do I access the IST PDF archive? Please register here to the IST PDF archive, using your customer details as a subscriber to the magazine.